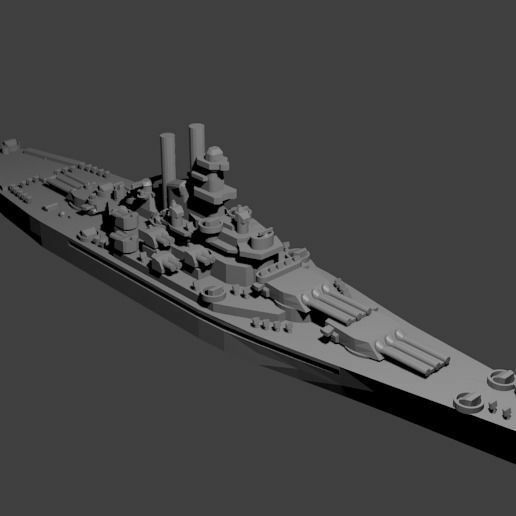 1/1800th scale Omaha Class Cruiser model. Certain elements not to scale. The Omaha class were a group of ten cruisers built for the US Navy shortly after WWII. Upon the US entrance into WWII at the end of 1941, they were the oldest US cruisers still in commission. Due to this fact, they were deployed into secondary areas such as the Aleutian campaign.